We deliver the cleanest carpets, upholstery and tile in the industry. This doesn’t happen by accident. Everything we do is engineered to produce the best results possible. Spills, pet accidents and unexpected messes can happen to anyone. Click here to learn how to address these situations with products commonly found in your home. We work hard to deliver the very best service and carpet cleaning results possible for our customers. 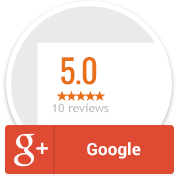 Click here to see what our customers have to say about us. We schedule only a few jobs each day to ensure that each team has the time to do everything necessary to elevate every item they clean to its best possible appearance. We use the most thorough cleaning processes around, including several unique game-changing prep steps and extra drying work. We have the expertise to handle any situation. All our carpet cleaning technicians receive in-depth proprietary training and must pass industry-certification tests. We use the best equipment and cleaning chemicals available and never cut corners. No matter how good we are, we're never satisfied. We continually research, innovate and test to deliver ever better results. In addition to carpets, we also clean tiled floors (ceramic, stone and vinyl), wood floors, upholstered furniture and vehicle interiors. We use a proprietary comprehensive cleaning approach on all surfaces. Call us at 302-945-0100 to set up an estimate, schedule a cleaning, or just ask questions. We would love to have the opportunity to show you what a difference our Advanced Degree professional carpet cleaning can make for your home. We serve all of Sussex County, Delaware and beyond, including Lewes, Rehoboth Beach, Dewey Beach, Bethany Beach, Ocean View, Milton, Georgetown, Milford, Millsboro, Long Neck, Dagsboro, Laurel, Seaford, Dover, Fenwick Island, Ocean City, Salisbury and Berlin. We appreciate our customers' feedback. Please share your experience to help others make a more informed decision. Listen to Our Local Radio Interview!